A traumatic brain injury (TBI) is often the result of a severe impact to the head. Our brain injury attorneys have seen how motor vehicle accidents, falls and medical mistakes have caused traumatic brain injuries. Our brain injury attorneys have helped many clients and their families find a resolution. If you or a loved one has suffered a traumatic brain injury or if you have a question, please call a Cellino & Barnes Brain Injury Attorney now at (800) 888-8888, or contact our brain injury law firm online. 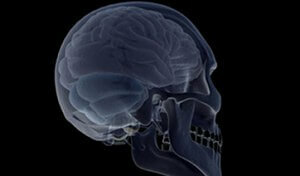 The leading cause of traumatic brain injuries (TBI) in the United States, are from auto accidents. A brain injury can occur when a victim’s head strikes an object such as a windshield or when the force of an accident causes the brain to move around violently within the skull, without a direct impact. Damage to the brain can occur at the time of the accident, or it can develop over time as tissues swell and bleed within the head. Brain injuries are more likely to occur in side-impact car accidents, due to the likelihood of the head striking the window. The number of brain injuries in a front impact crash is far less due to airbags and seat belts. Defectively designed airbags have caused brain hemorrhages and have severed brain stems, among other injuries. These injuries have killed and paralyzed innocent adults and children in collisions in which no one would have been injured in if the airbag didn’t deploy. The National Highway Traffic Safety Administration reports that since 1990, airbags killed 227 people in low-impact crashes. This includes 76 drivers, 10 adult passengers, 119 children between the ages of 1 and 11, and 22 infants. Brain damage or traumatic brain injuries can be caused by medical mistakes made by doctors, hospitals, nurses or other medical providers. The majority of traumatic brain injuries are caused during childbirth, either by a delay in performing a necessary c-section, complications with a vaginal birth, or an error causing a traumatic delivery. It is unfortunate, but true, that a brain injury can occur even with the best possible medical care. In many cases, there is nothing that should have or could have been done to prevent a brain injury. There are other circumstances, however, in which a brain injury could have been avoided or at least made less severe if appropriate measures had been taken. These mistakes are considered medical malpractice. A traumatic brain injury in a child usually results from an auto accident, bike accident, fall, sporting injury or child abuse. There are approximately 100,000 children hospitalized each year with head injuries. A brain injury can be difficult to diagnose in a child due to the normal changes that occur at various stages of development. Children who suffer a TBI can have normal or above average IQ following an injury, but can still have significant problems, such as being unable to organize their lives or make rational daily decisions once they reach adulthood. We know every situation is different, that is why we urge you to contact Cellino & Barnes to speak to an experienced Brain Injury Attorney who can help you determine your rights. A wide variety of symptoms can occur after a brain injury. We have compiles a list of possible symptoms, which can arise from damage to specific areas of the brain. We have answered some of the most common questions with regard to traumatic brain injury. We have provided links to various institutions, which may help the families and loved ones of brain injury victims.